Time is rolling along to the first of the annual conventions and no doubt like most of the other choruses we are working on our competition set for this event. We are looking forward to a fun and harmonious time in Newcastle. 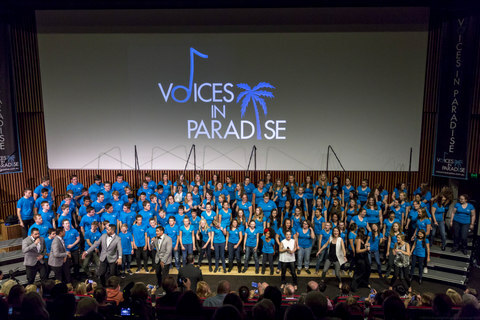 Our biggest event so far this year, Voices In Paradise, has been and gone and planning is underway for next year’s VIP. This year’s event was by far the most successful to date with a very high standard of participants. They seem to get better every year. 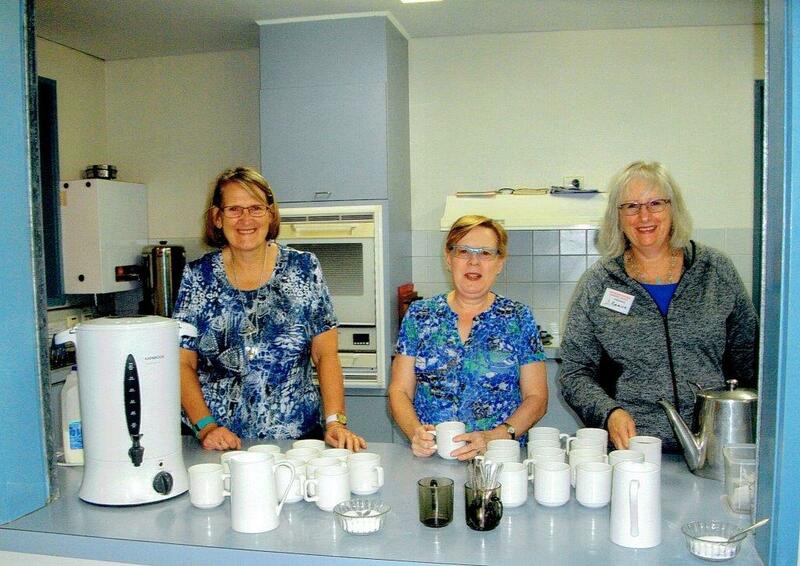 The whole event was held at Griffith University with over 130 registrants participating. One of the standout schools was AB Patterson College sending 35 kids. Other registrants spanned many schools and universities from the Gold Coast. 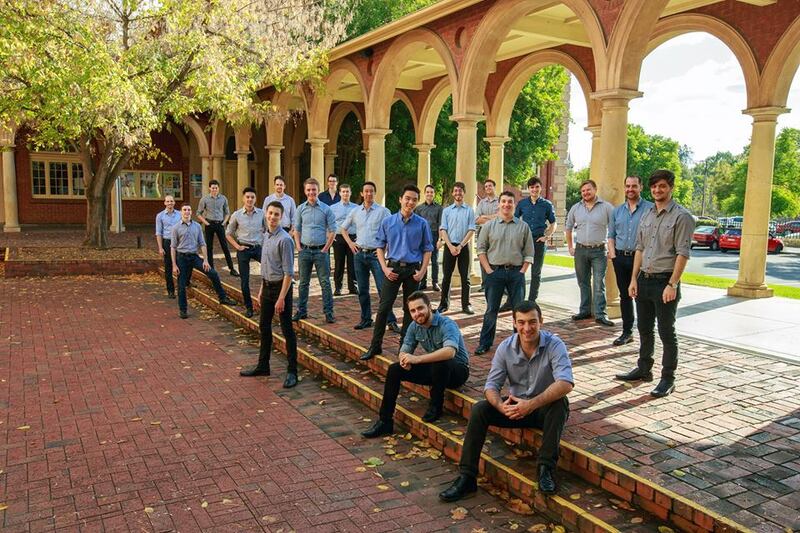 The registrants were tutored by Musical Island Boys, and female quartet Ginger and Tonic who had just finished a stint at the Adelaide Fringe Festival. The registrants got to perform their songs in front of a sellout audience in the evening. 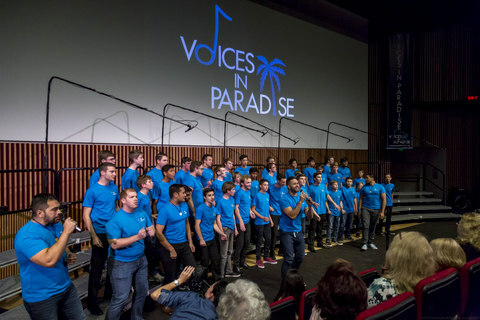 Songs performed were from Pitch Perfect 2, including, Lollipop from the Trebblemakers and Bellas Finals featuring soloists, beat boxers and even rappers. 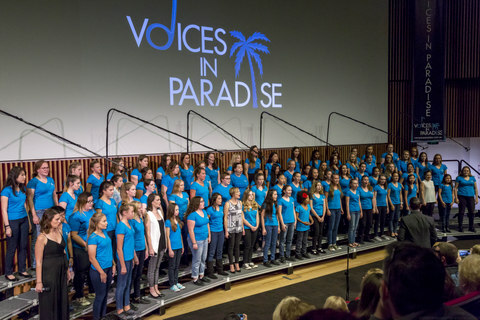 The kids were the highlight of the concert which featured MIB, G&T, The Blenders, Blenders Youth Chorus, Coastal Charisma and Griffith University Chorus, Seratonin. And of course there were outstanding sets from Blindside, MIB and G&T. 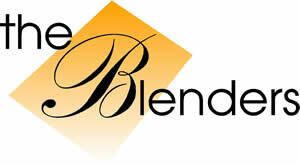 Other highlights for The Blenders include a gig for the Travel Industry at the Palazzo Versace, citizenship ceremonies, Zamia Theatre for the Scenic Rim Council for Volunteers Week and who could forget the Sunshine Region competition. All in all a busy couple of months. Finally we would like to wish Blindside the very best in the upcoming international competition in the USA. We will all be cheering from afar. VIP photos courtesy of Rix Ryan Photography. We also had the pleasure of hosting Richard Reeve, Dan Milgate and Gareth Hearn, to assess choruses and judge quartets for entry to the Newcastle Convention. Ably organised by our own Rob Lee, the sessions saw our quartet Boardwalk qualify for the Open competition, while Harmonic Motion, a relatively new Melbournaires quartet, qualified for the Senior competition. 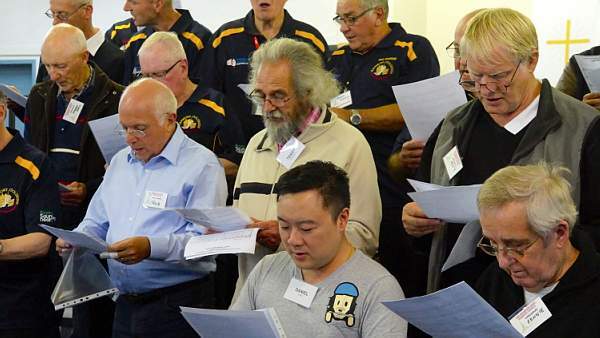 The three choruses Melbournaires, Between The Bays, and Western Melbourne Mens Chorus, received not so much assessments but plenty of useful tips and information, which hopefully will improve performances. We thank Richard, Dan and Gareth for spending so much quality time with all the barbershoppers. The “Real Men Sing’ evening, predominantly promoted by Roger Archman, was disappointing in numbers but likely to produce a handful of excellent voices, one young man already having passes the audition. Doug Moody held the audience spell bound with his explicit explanations of the art of barbershop singing, and the joy of belonging. They then enjoyed the heart-warming experience of listening to the melodious harmonies of the Melbournaires before being invited to join in. The evening coincided with the 25th anniversary of the founding of the Melbournaires, and our rostered ladies of the night, under the supervision of pocket dynamo Sue Lee, provided not only the regular monthly surfeit of scintillatingly salubrious supper, but a carefully candled cake, enjoyed by all. A lot has happened since the last time we checked in but rather than bury the lead here’s the biggest thing first: We have reported previously that we’ve been in the studio but the recording’s now finished, a release date has been chosen, and we have a title. We are so proud to announce that Unwrapped, the second studio album of the Festival Statesmen Chorus will be released on August 6th at a special launch party as part of the Umbrella: Winter City Sounds festival. This album contains all the new repertoire from our Adelaide Fringe show: Homecoming (including 5 new arrangements by chorus singers) and was recorded, mixed, and mastered by our own Ryan O’Dea. As part of this we’re also undergoing a rebranding, and the first step was a photoshoot to cement the new look for the Festival Statesmen. This shoot dovetailed with the filming of our first ever video clip (which also launches August 6th) to go with our single Get Back. In keeping with our policy of sourcing non-singing talent from within our membership we engaged Mitre Khammash and his media company MKM to film and direct this clip. 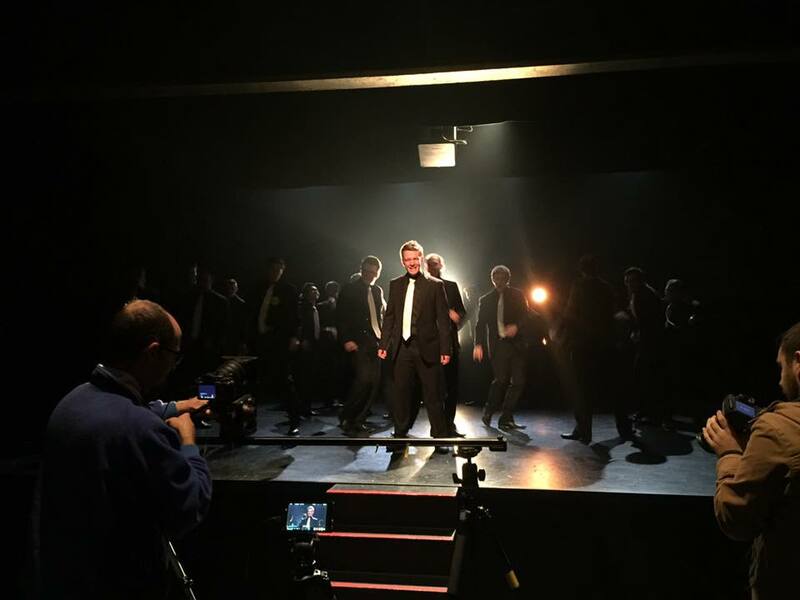 They also filmed and directed our entry for the “Win A Composition” International Video Competition for Male Choirs in which we performed Alwin Schronen’s setting of the Magnificat with myself on the solo. We’ve been so excited to make this clip for Get Back and can’t wait to share it with you! In addition to all this, we’re hard at work preparing for Newcastle and are raring to get back into it with the rest of the BBS community. If you’re interested in pre-ordering Unwrapped we will be making it available for pickup at convention this September so don’t forget to check it out! It’s well known that the old saying is true, “An army travels on it’s stomach”. I wonder if the same could be said of choruses? “A chorus travels on its quartets”. Who knows? HAH has fielded three quartets in the Newcastle Nationals…Good Fortunes, After Supper Project and of course Joining Forces. Also our MD, Mike Ludwig is part of a quartet, Electric Canoe who will be attending Nationals. Whilst mainly Gold Coast domiciled we lay claim, in part to them. To get back to my point about quartets. If you have them embedded in your chorus, you can’t but, help be better. We, as I have mentioned in earlier articles are undergoing a period of rebuilding after losing a number of our members. There is no doubt that having quartets bolstering the main chorus is the way to go to help lift any performance. All of the quartets have qualified to go as a result of an outstanding Sunshine Regionals event and we are hoping that they perform equally as well on the national stage. There’s never a dull moment at the River City Clippers. 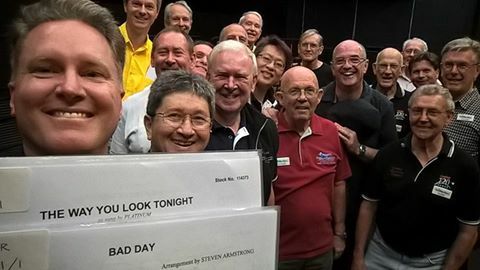 In preparation for the upcoming national convention in Newcastle later in the year we have started two new songs: "Bad Day" arranged by Steve Armstrong, and the classic “The Way You Look Tonight” arranged by the one and only Mark Hale. Both songs are off to a great start. Consider Yourself (Oliver) will be our contest uppie. The Clippers competed in the Sunshine Region competition held in late April in Southport on the Gold coast. It was a fun hit-out and we felt a step in the right direction as we continue to improve. For three of our members it was their first experience at performing in public with us and their first Barbershop competition. To help mentor our 5 newest members into chorus, we started our 4-week "fundamentals of harmony singing" course in June. This 0ne-hour session each week before rehearsal is our way of introducing new members to the jargon of barbershop, give them some one-on-one coaching and generally set them up for success. Nick Ellis (MD of Bayside Harmony) will be helping us out while MD Richard Reeve is in the US during July for International Convention, Category School and Harmony University. Nick is joining us for rehearsals during June and will also be singing with us in Newcastle, given that his chorus won’t be going. It’s great to welcome Nick into chorus. We recently performed at St Gabriel’s Carindale Music Celebration and our next gig is the Morningside Fair. Later in the year our first full production Cabaret will be produced at the new performing arts centres in Sunnybank. We look forward to meeting many of you in Newcastle. To celebrate Valentines Day in true musical fashion “Sydney Bridge Climb” asked for a quartet to perch a’top the Harbour Bridge and serenade their customers at the climax of their climb. At least two brave souls popped the question and both proposals were accepted. The idea was such a success a series of “Sunset Serenade” climbs are programmed for Sundays in July with our members providing the musical accompaniment. 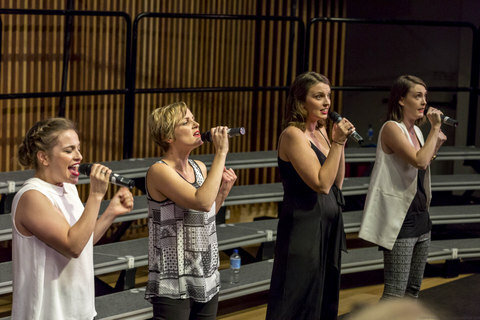 We performed at the "Sing It Sydney" concert celebrating World Voice Day on Sunday 17th April. The concert supported the Australian Dysphonia Network and the Australian Voice Association and was a truly memorable event for us all. We recently celebrated Vicki Dwyer’s tenth anniversary with the chorus. She has spent literally hundreds of rehearsal hours forensically honing our music, singing and presentation skills and we sincerely thank her for everything. Her efforts were showcased by Sydney Harmony again winning the Eastern Region Chorus Championship with one of our best scores. We would like to acknowledge the time, effort, and expertise freely given by all the organisers and judges over the weekend of the competition. They keep the Barbershop organisation progressing. Bravo! Our numbers have increased slightly with some younger faces taking to the risers and some more experienced members like the long serving Bob Fritz taking retirement. 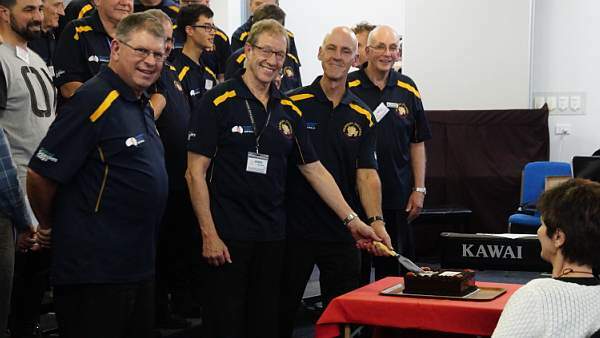 We wish him well and thank him for his contribution to Barbershop in general but particularly to Sydney Harmony Chorus. We were delighted to have Dan Milgate, a very experienced and long time supporter of Australian Barbershop, as our residential coach at the annual weekend conference /retreat/workshop. Over the 3 days he coached, motivated, directed and entertained us as only Dan can. What a fantastic job he did for us. All we have to do now is take all the improvements, remember them and polish the tunes for the National competition. See you all in Newcastle. Like all Choruses who have entered the upcoming Newcastle competition, we are well into preparing the songs for our contest set. 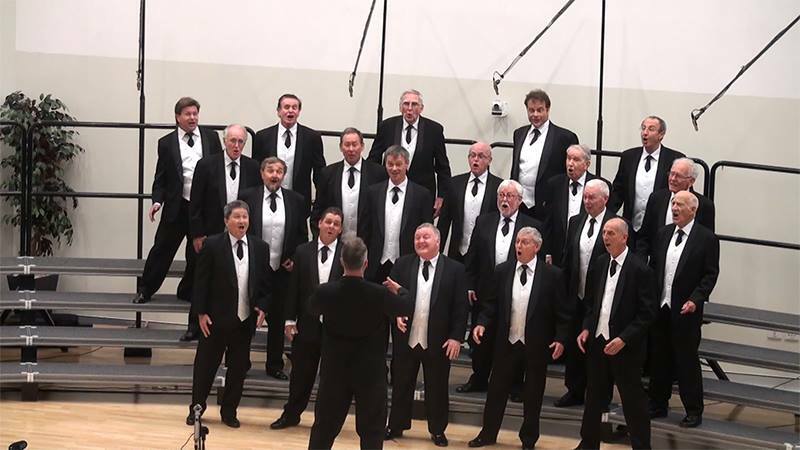 We recently had a great coaching session with the inimitable Eddie Klimowicz who convincingly pursueded us that older men can actually "move" on the risers. Well done Eddie and thanks for a great session. We are all enjoying our rehearsals and singouts under the direction of our new MD Peter Donald, ably assisted by our assistant MD Tony Vink. How about helping us spread our collective Social Networks. Like our Facebook page from your Chorus or Quartet Facebook page and we will happily reciprocate.